Despite the ongoing tradition of buying in stores, consumers put more trust in mobile and online shopping, from a security standpoint. 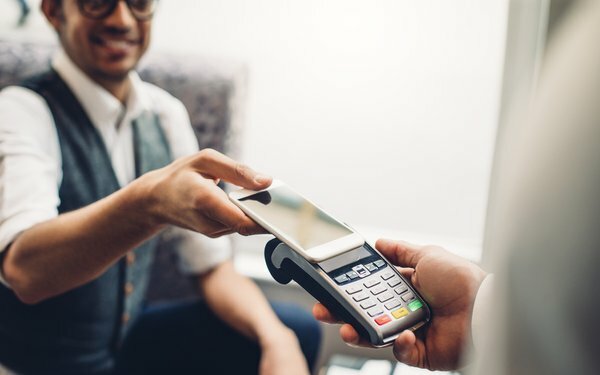 While mobile wallet adoption in the United States has not reached mass scale, almost all consumers using them feel they are at least somewhat secure, based on a new study. The study, conducted by ACI Worldwide, comprised a survey of 6,000 consumers in 20 countries in the Americas, EMEA and the Asia-Pacific region. Almost all the consumers surveyed had one or more type of payment card. Although it differs by market, consumers of bank-based mobile wallets generally have a high degree of confidence in the security of the mobile payments, with 80% at least somewhat comfortable with mobile wallet security. In the U.S., there’s a higher degree of confidence. For mobile wallets, almost all (94%) consumers think the information stored on their smartphone or tablet is at least somewhat secure, with 30% totally trusting their bank to protect their personal information. Only 6% of U.S. consumers say their mobile wallet data is not secure. For online shopping, a large majority (81%) of U.S. consumers say that most sites where they shop use security systems that are able to protect their account information. For in-store shopping, not all consumers trust their data with retailers. In the U.S., 66% think most of the stores where they shop in person use security systems that are able to protect their card/account information. However, nearly a third (32%) of consumers don’t trust the stores to protect their data. Interestingly, U.S. consumers are somewhat forgiving of retailers where they have an issue. While more than a third (37%) of those who experienced fraud or were involved on a data breech with the organization would stop shopping there, 26% would not and 37% are not sure. The U.S. is at the very bottom of the list. Part of the challenge is deploying totally secure technology for mobile and online shopping. The other part is gaining the confidence of consumers that their information will remain secure.